Today's rare is a cool touch to any freedom outfit. There ya go! Pretty cool, the tie is a very old and jamaasian item. All in all, a pretty good item. Way to go, AJHQ! Why not change your colors to be part of the Jamaasian Freedomness? In other news, I just noticed you can now comment on the daily explorer! Awesome! And from all over the Daily Explorer, I found tons of neat little graphics. Cool, im gonna use these a lot! I thought it was really cool that this was a non member item. I don't think it's fair how many member items there are. I understand that Animal Jam needs to make money, but sometimes they take it too far. My favourite graphics are the ones found on the Jam-a-Grams now. They look really cool! I totally agree! I mean, there are so many members, AJHQ should have enough money. Actually, I have in total spent almost 200€ on AJ since I joined. Wow... That's a lot of money! Even if it is a business, why does it have to be so expensive to have membership each month? And it is a National Geographic game, so they would already have a lot of money and supporters. Not yet, but i'm working on all the requests I have. Hey MCB, I made my blog. 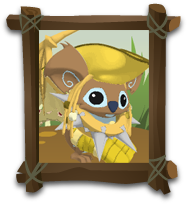 It is called The Animal Jam Star. I dont know how to get pictures yet, so can you help me? Thanks, and also thanks for making me jammer of the month. Cya around! Sounds like a cool blog! I will visit it and comment! Hey MCB, thank you for commenting on my blog! It really helped. You are always welcome to my blog! I have a question MCB. How do you go about conducting you giveaways? I have lots of spare rares that I would love tio give people but I don't know how to go about it. Can you help me? How do you scan things onto your computer..? What do you mean? Are you talking about videos? What exactly do you want to 'scan'. Drawings… but I don't think I can cause I have a mac. 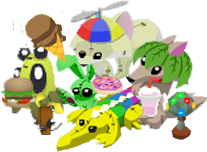 ATTENTION IF YOU COMMENT ON ANIMAL JAM SPIRIT I CAN'T COMMMENT ANYMORE BECAUSE I DON'T HAVE A FLIPPING E-MAIL NOT EVERY STIKNING PERSON HAS ONE, YOU KNOW!!! Hey Chunkybuddy! I was wondering if it is okay if I use the emotions for my blog? I didn't just want to use them without asking. Thanks! 1- No comments on unappropiate subjects. Remember there are jammers of all ages looking at this. 2- You can advertise your blog if you want, I have no problem with it. 4-There are loads of spam comments. (Robotic, authomatic advertisements) Just ignore them, ok? 5-Sorry if I take ages to reply, I am busy and there are a lot of comments. Also, if you don´t have a blogger profile, it would be nice if you included your username, so people know who you are.